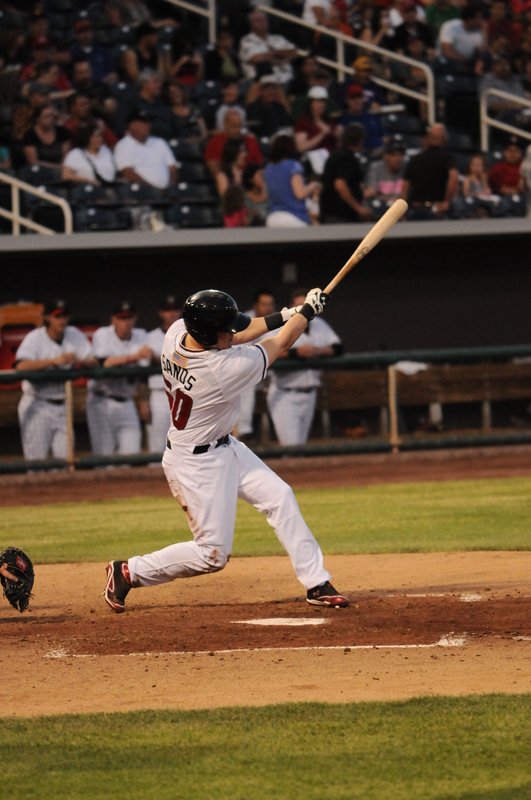 In 34 tries this season the Isotopes had never overcome a deficit heading into the ninth inning. That all changed when Jerry Sands smashed a walk-off two-run shot in the bottom of the ninth to lift the ‘Topes over the Express 10-9 on Thursday night. Although the record still isn’t picture friendly, the newly formed 1-34 mark represents the fact that Albuquerque can, and has, mounted a comeback when trailing in the last frame. The feat sparked a change of perspective for Manager Lorenzo Bundy when the ‘Topes are facing a deficit late in games. On the season, the Isotopes have typically run into trouble when the team isn’t holding an advantage on the scoreboard. When trailing after seven innings the ‘Topes are 4-32, and after six the team posts an 8-26 record. However, with the victory, Albuquerque is now no longer part of the trio of teams that are winless when trailing after eight, leaving Las Vegas (0-42) and Round Rock (0-43) as the only two teams to have never won a game this season when facing a deficit after eight innings.